7. Lothar's rest - Naxxramas second time - 22.6.2010. Only realm first ever that i wasnt part of ;( I had really big problems with old people back then, so didnt play for few months, but in the end i came back. I simply couldnt, and still cant, leave my guild and guildies. Re: 7. 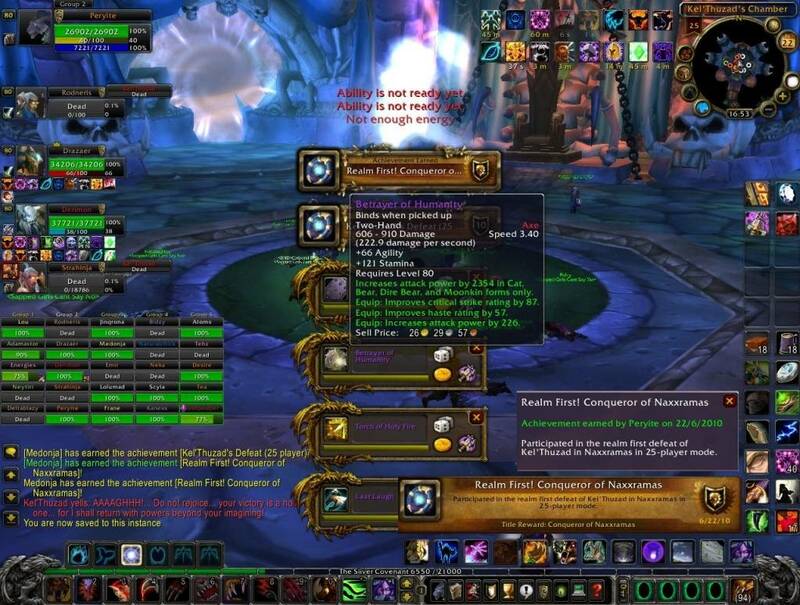 Lothar's rest - Naxxramas second time - 22.6.2010. WER NINJA DK WHO TAKES BETRAYER OF GUILD RIGHT AFTER DINGING 80?? ?